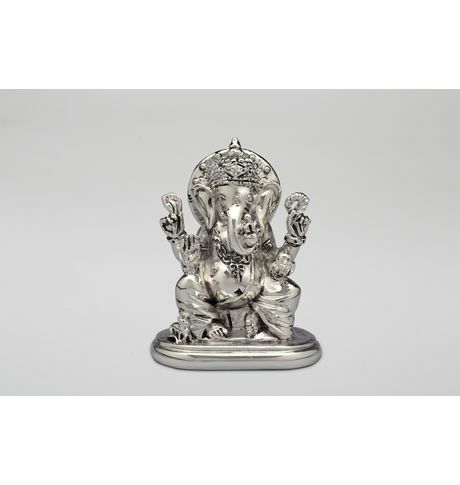 This Ganesha is designed with creativity and great craftsmanship. The royal figurine is adorned with golden ornaments and is appreciated for its ability to make your interiors beautiful. Easy to maintain. • No order cancellation or Refund transaction allowed at the store. This Ganesha is designed with creativity and great craftsmanship. The royal figurine is adorned with golden ornaments and is appreciated for its ability to make your interiors beautiful. Easy to maintain.Cancellation and Return Policy: • Exchange allowed post booking • No order cancellation or Refund transaction allowed at the store.